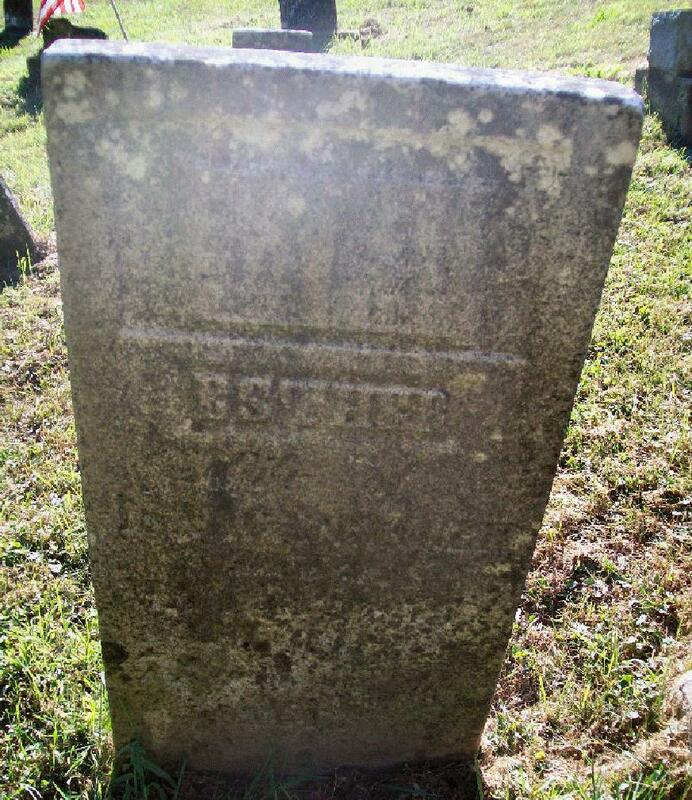 He married Esther J. Robinson.10,11 Esther was born 182110 [about 183011], Virginia10 [Ohio11]. James Hancher, age 29, born in Virginia; farmer. Esther J. Hancher, age 20, born in Ohio. 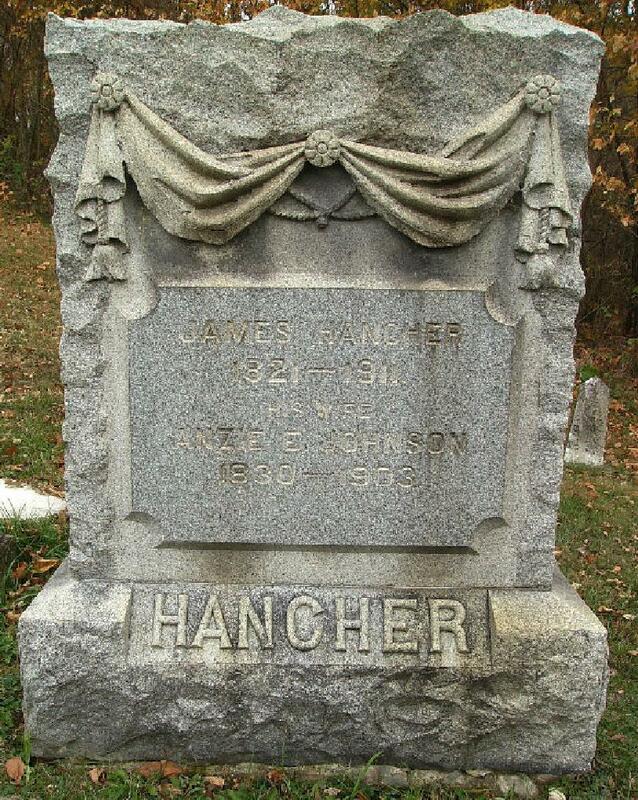 James Hancher, age 38, born in Virginia; farmer; $4000 real estate; $1100 personal property. Anza E. Hancher, age 30, born in Ohio; domestic. John Hancher, age 4, born in Ohio. Thomas Hancher, age 3, born in Ohio. Daniel Hancher, age 2, born in Ohio. Daniel Hancher, age 77, born in Virginia; farmer. Thomas Settle, age 22, born in Ohio; day laborer. 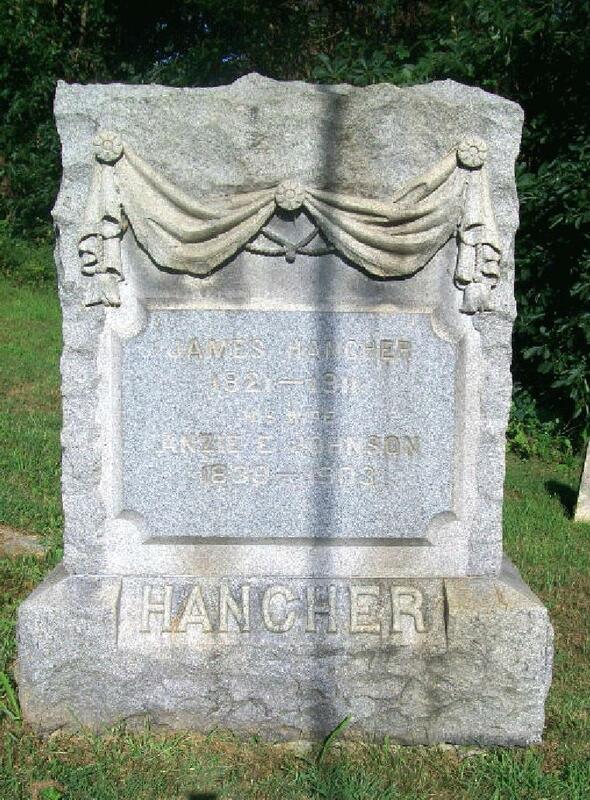 Hancher, James, age 48, born in Virginia; farmer; $14400 real estate; $2400 personal property. Hancher, Ansy, age 39, born in Ohio; house keeper. Hancher, John W., age 15, born in Ohio; farm hand; attended school. Hancher, Thomas F., age 14, born in Ohio; works on farm; attended school. Hancher, Daniel C., age 11, born in Ohio; does farm work; attended school. Hancher, George T., age 9, born in Ohio; attended school. Hancher, Harman F., age 7, born in Ohio; attended school. Hancher, Emma R., age 1, born in Ohio. Woodard, Lucinda, age 21, born in Ohio; house keeper. Hancher, James, age 58, born in Virginia; parents born in Virginia; farmer. Hancher, Anzie E., wife, age 50, born in Ohio; parents born in Virginia; keeping house. Hancher, Thomas F., son, age 22, born in Ohio; father born in Virginia; mother born in Ohio; works on farm. Hancher, Daniel C., son, age 21, born in Ohio; father born in Virginia; mother born in Ohio; teaches school. Hancher, George T., son, age 19, born in Ohio; father born in Virginia; mother born in Ohio; teaches school. Hancher, Harmon F., son, age 17, born in Ohio; father born in Virginia; mother born in Ohio; attended school. Hancher, Emma R., daughter, age 11, born in Ohio; father born in Virginia; mother born in Ohio; attended school. Simmerman, Elisabeth, servant, age 23, born in Ohio; parents born in Maryland; servant. 1860 census, Whigville P.O., Marion Township, Noble County, Ohio; roll M653-1020, page 345, line #1, dwelling #1225, family #1165. 1870 census, Summerfield P.O., Marion Township, Noble County, Ohio; roll M593-1252, page 161, line #11, dwelling #298, family #288. Contribution from Helen McFarlane Greenley citing: letter to Eleanor Faye Hancher McFarlane. 1880 census, Marion Township, Noble County, Ohio; roll T9-1055, ED 193, page 136D, line #31, dwelling #233, family #260. GEDCOM file 82007 at http://www.ancestry.com. 1850 census, Union Township, Monroe County, Ohio; roll M432-712, page 296, line #15, dwelling #283, family #283.